Q: Does it works for swimming in a pool? If not, which tank does? A: Thank you for contacting TYR Sport! We are always eager to answer any questions you have about our products. 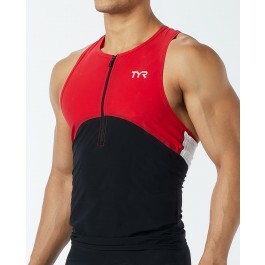 The Men's Carbon Tank can be worn in the pool, as long as it is properly rinsed to remove all the chlorine. This tank is most commonly worn in open water. We would recommend the Competitor line tank, as a better choice in chlorine. A: Thank you for your inquiry. Unfortunately we are no longer making the Men's Carbon Tank in the Orange/black. We have a couple size Larges left, the sizing will just be a little larger then the medium cut. 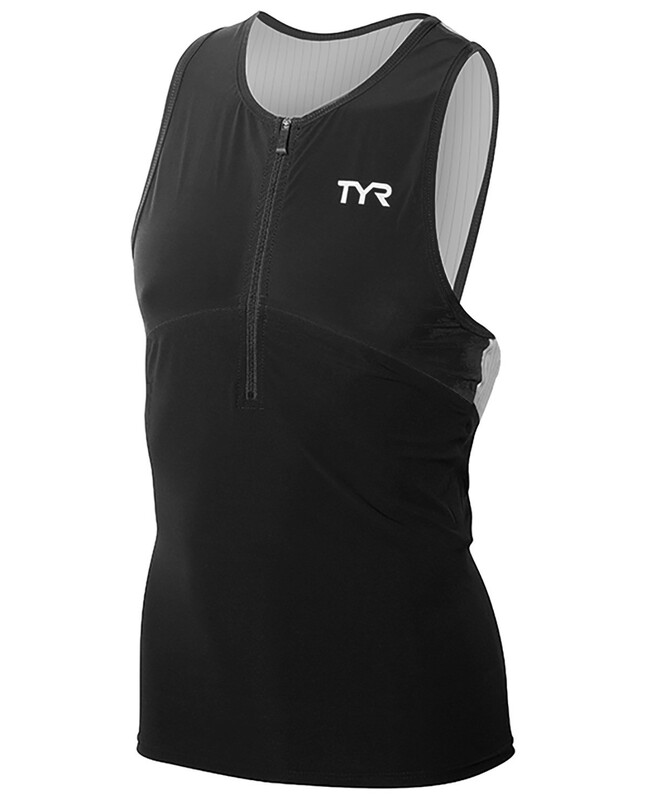 Q: Does this top create much drag during the swim (non wetsuit races)? A: No, the Carbon Tank is engineered for swimming use. Drag is minimal and dry time is extremely fast. Q: How many pockets does this tank have? It looks like there is only one in the back. Is that correct? A: Correct. 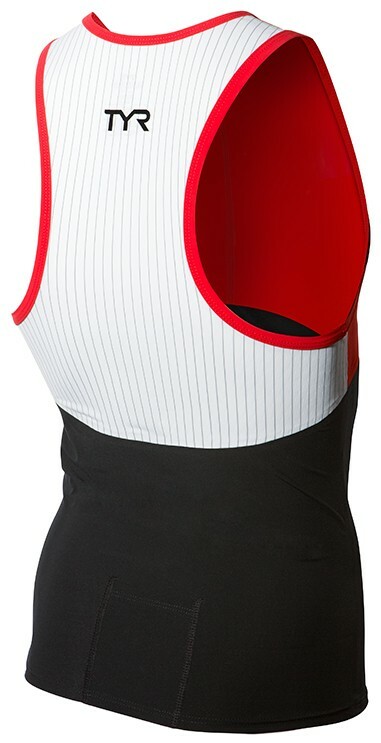 The Carbon Triathlon Tank has a single rear pocket for storage. Q: How should you wash the carbon products? A: We recommend hand washing with cold water and mild soap - do not wring when drying. 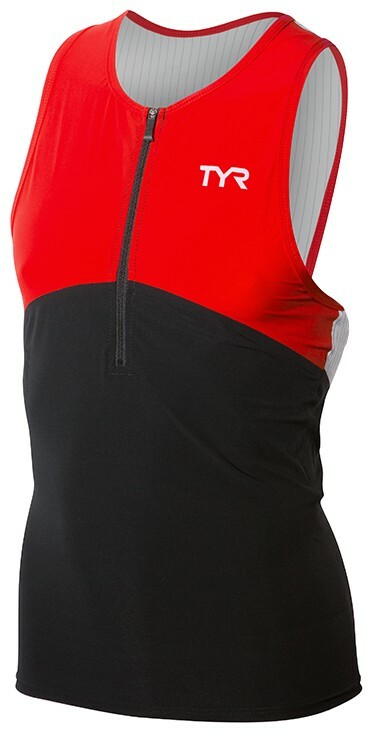 The Pinnacle of Triathlon Performance, TYR Carbon is a Game-Changing fabric that fuels you across the disciplines. 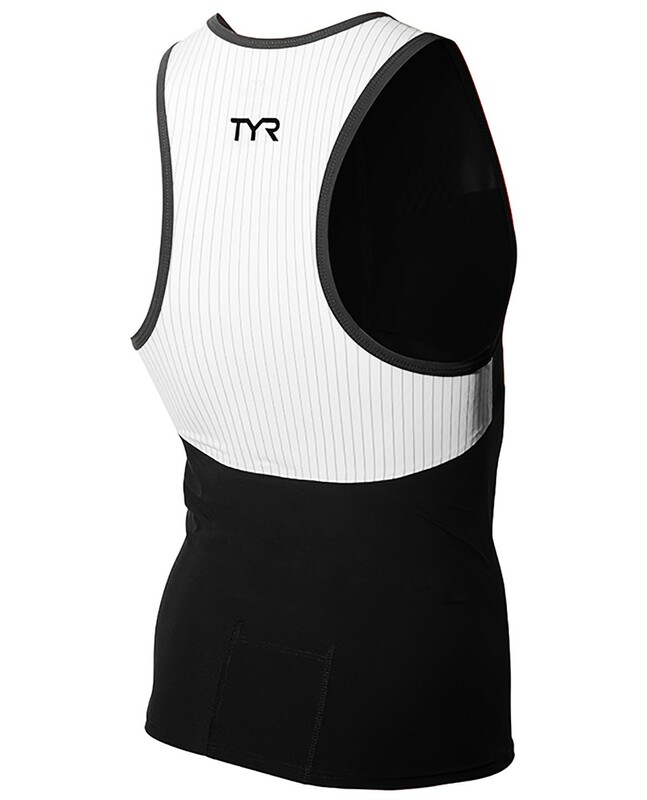 Lower body temperature, heart rate and lactic acid buildup with the TYR Men's Carbon Tri Tank.